French fries are one of the most popular snacks in fast food joints. These delicious and crispy fries can also be prepared at home in just a short span of time. 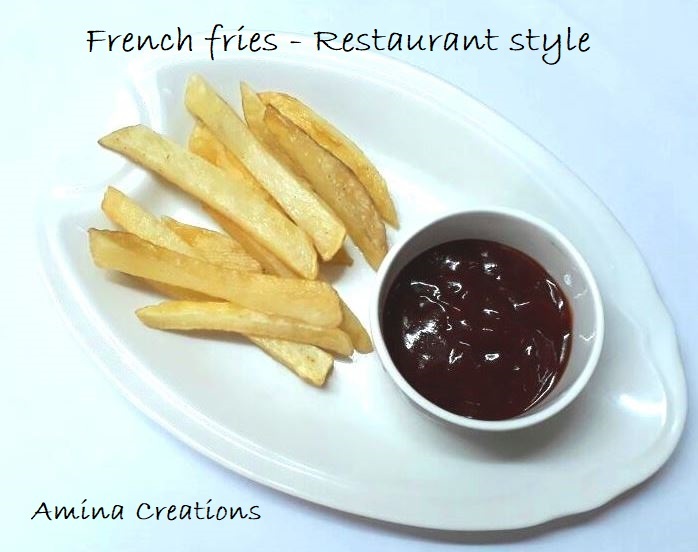 You can make restaurant style French fries at home using this simple recipe. Take 2 long potatoes, remove the skin and cut into long finger size pieces. (Here I have used large and long potatoes as only then we will be able to get finger size pieces). Take the cut potatoes in a bowl, add water and allow the potatoes to soak for half an hour. Then take out the potatoes and line them over a clean kitchen towel. Take another kitchen towel and gently dab over the pieces so that there is no moisture left. 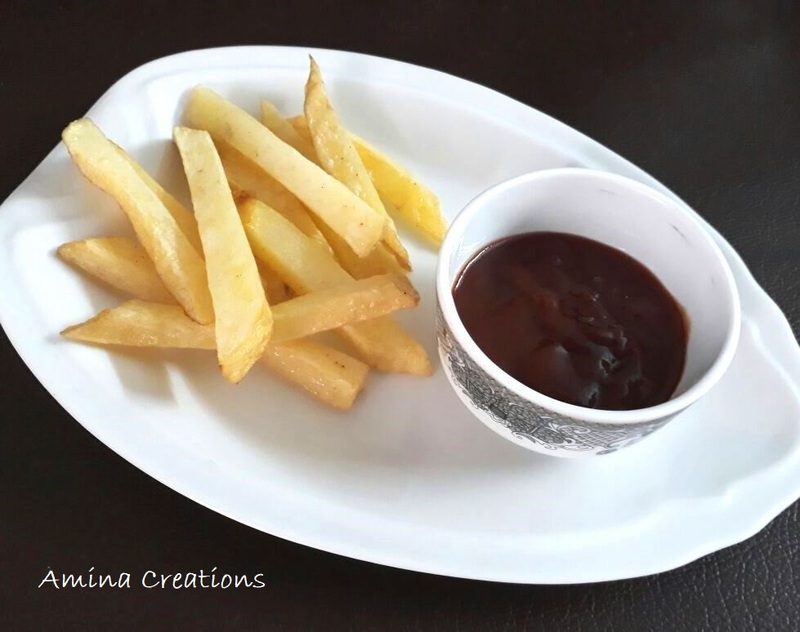 Now heat oil in a kadai/ non stick pan and when oil is ready, deep fry the French fries in low to medium flame till they turn slightly golden in colour. Take out the French fries and place over absorbent paper. After they cool down, once again heat oil and deep fry the French fries again. After they turn nice golden, take them out and place over an absorbent paper. After all the French fries are ready, take them in a large bowl, sprinkle some salt (according to your taste), and nicely toss the French fries.